President Trump is about to embark on his first foreign trip, where he will stop in Saudi Arabia, Israel, and the Vatican, before attending a NATO meeting in Brussels and the G-7 summit in Sicily. The media and pundits have loudly wondered why hasn’t he gone on a foreign trip sooner. I wonder why go at all? What does the president hope to achieve with these meetings? This is a president who came into office with promises that we would finally start to mind our own business overseas. In December, he said that the policy of US “intervention and chaos” overseas must come to an end. Instead, he is jumping into a region – the Middle East – that has consumed the presidencies of numerous of his predecessors. 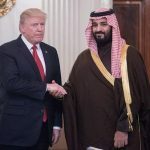 On Saudi Arabia, President Trump has shifted his position from criticism of the Saudi regime to a seemingly warm friendship with Saudi deputy crown prince Mohammad bin Salman. 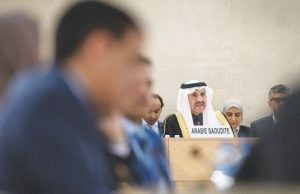 He has approved weapons sales to Saudi Arabia that President Obama had halted due to Saudi human rights abuses, particularly in its horrific war on Yemen. While visiting Saudi Arabia, one of the most extreme theocracies on earth – where conversion to Christianity can bring the death penalty – President Trump will attend a meeting of Muslim leaders to discuss the threats of terrorism and religious extremism. 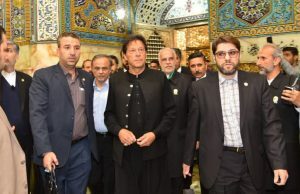 No, not in Saudi Arabia, but in Iran, where Christianity is legal and thriving! 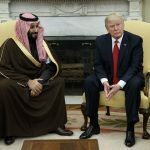 Perhaps President Trump’s flip-flop on Saudi Arabia was inspired by the ten separate Washington, D.C. public relations firms the Kingdom keeps on the payroll, at a cost of $1.3 million per month. That kind of money can really grease the policy wheels in Washington. From there, the US President will travel to Israel. 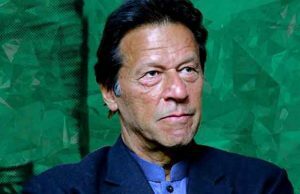 Does he believe he will finally be able to solve the 70 year old Israel-Palestine conflict by negotiating a good deal? If so, he’s in for a surprise. The problem persists partly because we have been meddling in the region for so long. Doing more of the same is pretty unlikely to bring about a different result. How many billions have we spent propping up “allies” and bribing others, and we’re no closer to peace now than when we started. Maybe it’s time for a new approach. Maybe it’s time for the countries in the Middle East to solve their own problems. They have much more incentive to reach some kind of deal in their own neighborhood. Likewise his attendance at the NATO meeting is not very encouraging to those of us who were pleased to hear candidate Trump speak the truth about the outdated military alliance. We don’t need to strong-arm NATO members to spend more money on their own defense. We need to worry about our own defense. Our military empire – of which NATO is an arm – makes us weaker and more vulnerable. Minding our own business and rejecting militarism would make us safer. 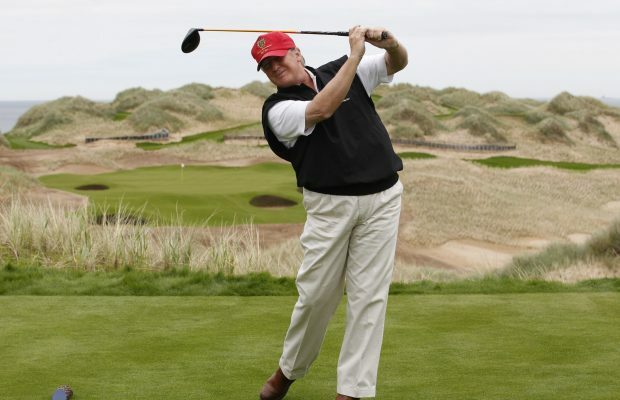 Many pundits complain that President Trump spends too much time golfing. I would rather he spend a lot more time golfing and less time trying to solve the rest of the world’s problems. We cannot afford to be the policeman or nursemaid to the rest of the world, particularly when we have such a lousy record of success. 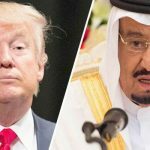 Saudi Arabia claims Trump visit is a step to halt Iran!